The brief asked us to explore ways of designing an innovative co-living development for people who are priced out of the London housing market. The developers vision aims to create low rent co-living micro studios where tenants take control of the management through modern technology. 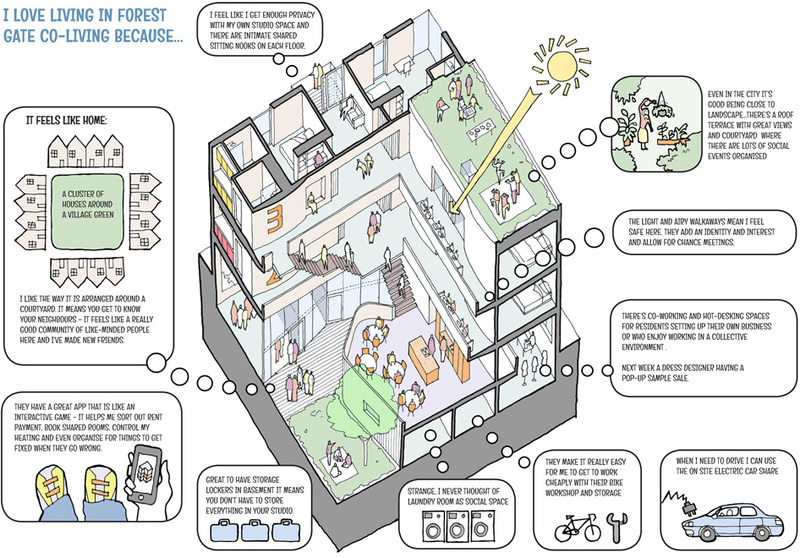 The design needed to value how a building feels to live in more than its appearance and to encourage community interaction without compelling tenants to give away privacy.